Enjoy this Shop LC Cyber Monday Sale. Register with us to get Cyber Monday exclusive deals and receive great previews of upcoming events. 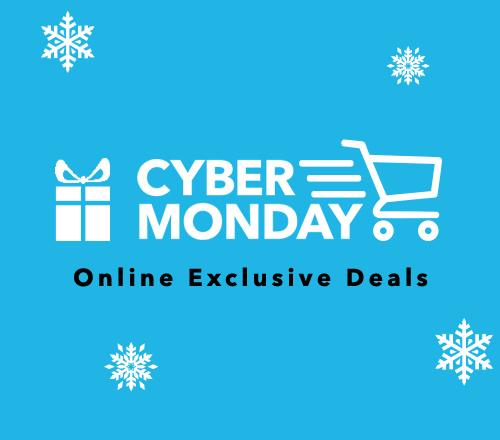 Cyber Monday is the ultimate day to find deep discounts on fashion and jewelry (such as bracelets, necklace, rings, and more!). These fun items make great gifts for others and yourself! But don’t take our word for it, browse our Cyber Monday Specials today and you’ll see that these deals are second to none. At Shop LC we want you to save, and we guarantee that you’ll get the best quality for less! With discounts up to 40% off, these values won't be found at mainstream retailers. Only the best Cyber Monday jewelry deals and steals can be found with Shop LC. Home to the best values on jewelry, accessories, home décor and more, these prices can't be beat. The big savings you’ll enjoy will let you splurge, making sure everyone on your Christmas list gets exactly what they want. Check out our 2018 holiday gift guide if you need additional inspiration for gifts! As the name implies, Cyber Monday is all about online shopping. Online specials are available around the clock, with new deals being offered all day long! Since there's no line online, it's quick and easy to load your cart, check out and save! This special event only comes once a year. Don't miss our Cyber Monday deals coming up on November 26, 2018. Shop and save with Shop LC to discover the value and savings that await you from the comfort of your own home.